In the never-ending quest for great mobile photos, it can be tempting to ditch the camera app that comes with your phone for something far more advanced and exotic. However, if you know what you’re doing, you can get some high-quality results from the default camera app on your iPhone or Android device—and here’s how. 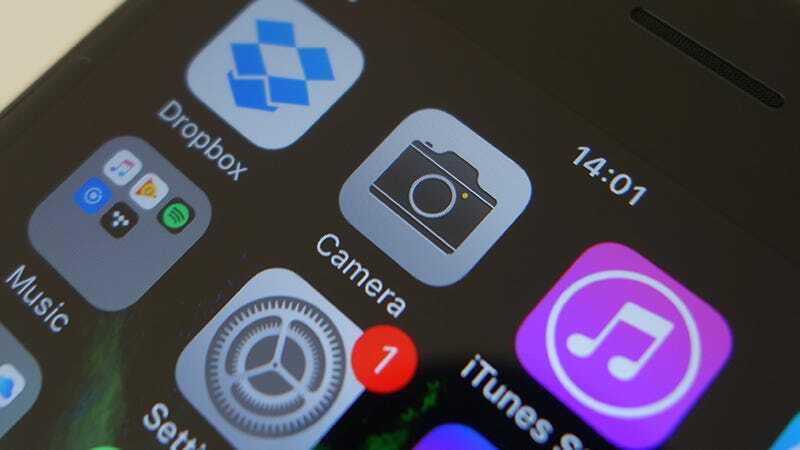 For the purposes of this guide we’ve focused on features in the default camera apps for the latest versions of iOS and stock Android. If you’re not running stock Android, you should find most of these tips still apply, and if you want to you can download the stock camera app from Google. The rule of thirds acts as a guide to help you frame your shot correctly. You need to imagine your shot as split up into nine rectangular segments, and keep important objects and elements running along these lines or close to the intersections where they meet. With the camera apps for Android and iOS, you don’t have to visualize these lines yourself. On Android, tap the menu button and choose Settings then Show grid in viewfinder; on iOS, go to Photos & Camera in the main Settings app and toggle the Grid switch to on. For a lot of mobile photos, a steady hand is crucial—particularly in low light situations where your phone’s going to struggle to get much light into the lens. You can buy mobile tripods if you want to get the best results, but it’s just another thing to carry around. If you don’t have a tripod then use something else to keep your phone steady: a wall, a table, a mantelpiece. The self-timer in the camera apps for Android and iOS can help too, letting you leave your phone up on a shelf somewhere without having to get behind it. Whether you use an iPhone or an Android device, you can tap the screen anywhere to change the focus of the shot. This will also change the exposure level to match the spot you’ve selected, so it’s a handy way of brightening a darker area (or dimming a light one). Those of you with iPhones can tap and hold to lock the focus and exposure, so it stays fixed even if the phone then moves, or tap, hold, and drag up or down to manually change the exposure level yourself. You’ll see a small sun icon showing the changes. Speaking of keeping your phone camera steady, trying to hold your phone in place and then tap a software shutter button in the middle of the screen isn’t always easy, and it can often cause your handset to wobble at that crucial moment when you’re taking the shot. The solution is to use either of the physical volume buttons to snap your picture instead (the trick works on iPhones, Nexus devices, and most other Android phones too). It’s not always going to be the best option but it’s a useful alternative to have in some situations. The latest versions of the default camera apps for both Android and iOS now include auto HDR modes that apply a High Dynamic Range filter as and when the situation suits it. You can see the HDR toggle switch located right on the shutter screen itself on both OSes. High Dynamic Range, in mobile photography at least, refers to keeping the darkest and lightest parts of your image in balance (so a bright sky doesn’t completely obliterate a dark landscape). It requires a longer exposure, so keep your phone as steady as you can. Getting your subjects well lit is crucial to a great photo, so pay attention to available light sources, whether beams of sunshine or a neon bar sign. There’s no one-size-fits-all approach, but make sure you can see whatever you’re photographing as well as possible. That might mean repositioning your friends, changing the angle of a close-up shot, looking for a shady area, or even waiting until later in the day to take a picture. Avoid strong lighting behind your subjects, unless you want to end up with a silhouette effect. The native camera apps for both Android and iOS come with a built-in burst mode you can take advantage of. If you don’t trust yourself to get the perfect shot in one go, take several at once and then choose the winner later (preferably deleting the unwanted ones too). To take a photo burst on iOS or Android, simply press and then hold the shutter button for as long as you want to take pictures. In the case of Android-powered phones, you can delve into the settings to enable or disable some ‘smart’ help in choosing the best burst photo. Let’s not forget some of the more practical aspects of taking good mobile photos: for example, any spots on the camera lens are going to interfere with your mobile pictures to a pretty significant degree, so it pays to keep this part of your phone as clean as you can. You don’t necessarily need anything special for the job, and a clean, lint-free cloth should work just fine in most cases. Using a cotton swab very lightly dampened with distilled water is another option if you need to clean specks of dirt that are on the top of the lens.